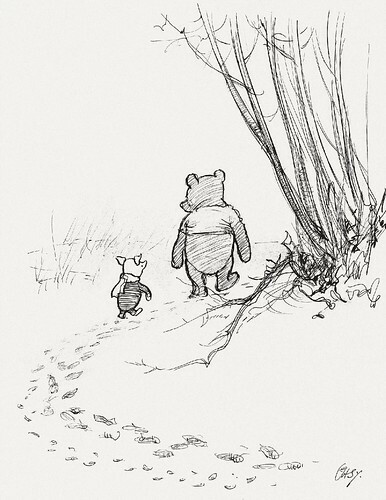 I am not a huge Winnie the Pooh fan — none of the characters are actually that likable, you know? — but I have to admit, in these original illustrations, Piglet stands as perhaps the most charmingly-rendered character ever. One feels that E. H. Shephard’s soul is visible in those strokes.